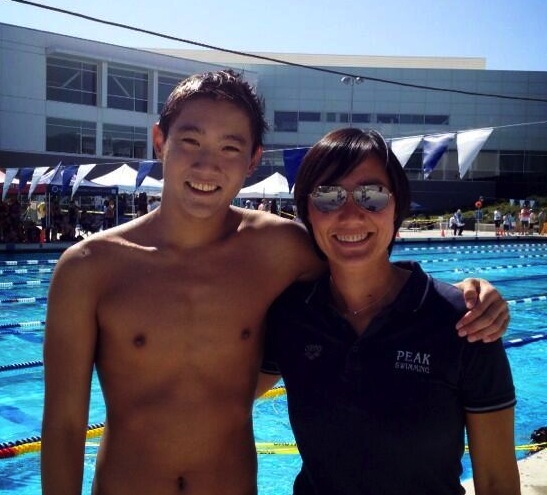 Abi Liu is the Head Coach at PEAK Swimming. Abi believes in developing creative training methods that complement each individual swimmer, and encourages her swimmers to pursue their personal goals. Her swimmers have been recognized as USA Swimming and Pacific Swimming Age Group Record Holders and Top 10s, Olympic Trial and National qualifiers, Junior National and Sectional finalists and Far Western and Junior Olympics champions. After winning the Junior National Championships at 13 years old, Abi was recruited to the Chinese National Team and was the youngest swimmer on the team at the time. Her 7 years of hard work in Beijing paid off, as she became one of the top swimmers in China. She was a national record holder in the 200 meter backstroke, won the National Championships twice and the 1993 FINA World Cup and was a silver medalist at the 1994 Asia Games. Abi holds a BS in kinesiology and is interested in exercise physiology and the science of body movements. She was the recipient of the 2009 Pacific Swimming Age Group Coach of the Year award, and is recognized as an American Swimming Coaches Association Level 5 coach. Find out more about Abi online!